I have a Simon and Patrick acoustic that I picked up. It just says "Wild Cherry (6)" inside it. It needed a neck reset, which I did today. There are some gouges in the top that I was going to sand out and then put a coat of clear over the top. I can't find much on this guitar online. Can anyone tell me anything about these guitars? Are they decent? IIRC Simon and Patrik are the names of the sons of "Mr Godin"
Your S&P Wild Cherry 6 was built in 1991 and has laminated wild cherry back and sides, a maple neck and a rosewood fingerboard and bridge. 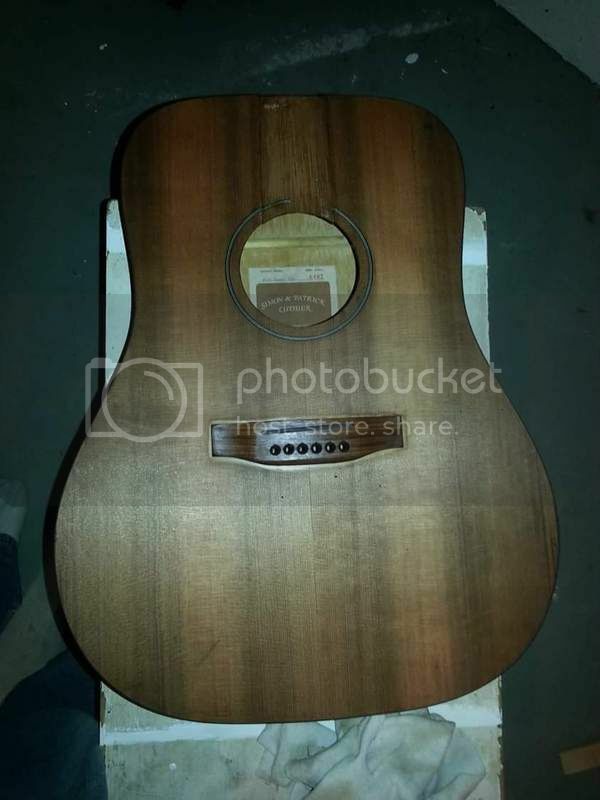 That model was available with a solid spruce top or a solid cedar top. You are going to have to level it, but do not buff it. Is your clear a satin or matte finish? Does it have a flatting agent in it? Even these will produce a reflective shine if you polish the surface and buff it out. You will have to decide if your leveling sanding leaves the degree of satin you want or if you need to level it and then spray a final thin coat to give you the satin finish. It is a satin finish. I do not think it has a flattening agent in it. 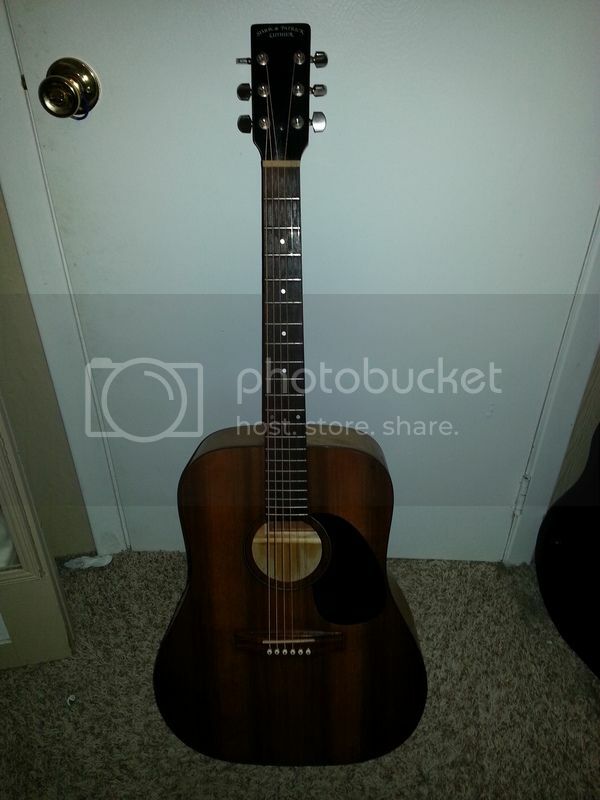 Should I level it just like I would with an electric guitar? Just wet sand with 600-2000 until the finish is what I am looking for? That is what I would do. There is a difference in appearance between a satin created that way and one straight out of the can. I have yet to be happy with any of my efforts straight out of the can. I always find something that needs to be leveled. Cool. Thanks for the advice. Hopefully I'll be playing this thing in the next couple of days. Looks like it came out good. Are you happy with it? Yeah, I am. It sounds amazing.